Where's the best place to buy and sell a campervan in New Zealand? Auckland or Christchurch? This was our biggest question when we were heading to New Zealand. We were so uncertain and were scraping through blogs trying to find someone to tell us where's best to buy and sell a campervan in New Zealand so we could book our flights accordingly. We couldn't find much and were left with our questions of "Which city has cheaper campers? Which city is better to sell with less competition?" 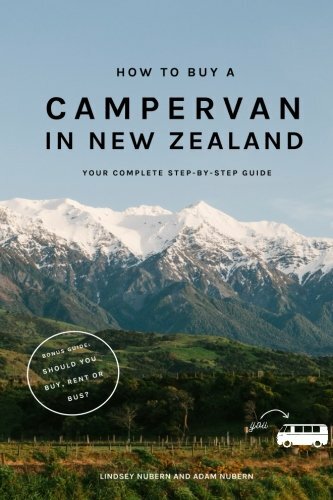 Now after buying and selling our campervan in New Zealand and spending five months traveling the islands, we found there’s no formula to tell you where to buy and sell. However, now we can speak from experience and we have our friends' experiences and advice for you, too. You can buy and sell campervans anywhere in New Zealand. However, the supply and demand of campervans will definitely be higher in the larger cities. The biggest decision for us was between Auckland and Christchurch, because these two cities are home to the international airports where we'd be flying in and out of. 1. General Travel Route: The majority of travelers follow a north to south travel route in NZ. Most backpackers fly into Auckland on the North Island at the beginning of summer, buy a van, and travel south. Most of these travelers sell their vans in Christchurch at the end of the summer and then fly out of the country. So if you plan to do this, you're going with the grain of everyone else. 2. Biggest Supply: Auckland is known to have the largest supply of campervans in the country. It’s always good to have a substantial supply for a better chance of finding a campervan. 3. Pricing: You can find all types of campers for a full range of prices in both cities. Each time we have searched Trade Me (even during different seasons), we have found many campers ranging from NZ$2,000 to NZ$6,000 in both cities. We have our own experience and have gotten opinions from two other sets of friends. Even though we all bought and sold in different cities for different prices, all three of us have landed on the same conclusion from our experiences: Buy in Christchurch and sell in Auckland. This means going the opposite travel route than most backpackers—South Island first, then the North Island second. This travel route is our advice when only thinking about buying and selling a campervan. However, when thinking about the experience of campervanning, I recommend seeing the North Island first, then ending on the South Island. Nothing beats the scenery on the South Island. You gotta check out going to our favorite campsites here.